Transfer from Dubrovnik airport to your Hotel for check-in from 2 PM onwards. After settling in, you will have a welcome reception at your Hotel followed by a guided tour of the city. 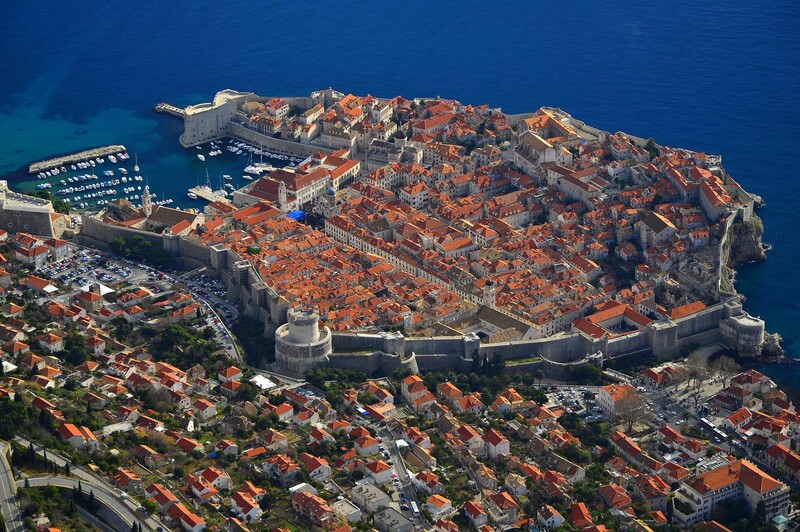 The special charm of this ancient town are the buildings that have remained from the time of the old Dubrovnik Republic. Many of the monuments belong to the modest Renaissance architecture with some traces of Gothic style. Take the cable car from the Old Town to Srđ mountain to enjoy scenic views of the mighty ramparts and of the Elaphiti Islands. 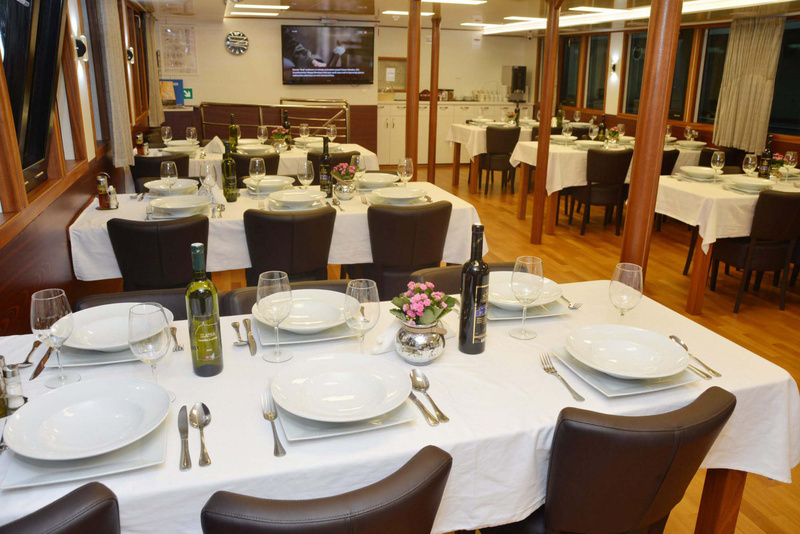 After the tour, you will have some free time before we meet up for welcome dinner in one of the traditional restaurants in Dubrovnik. Return transfer to your Hotel. Overnight in Dubrovnik. Buffet Breakfast on board. 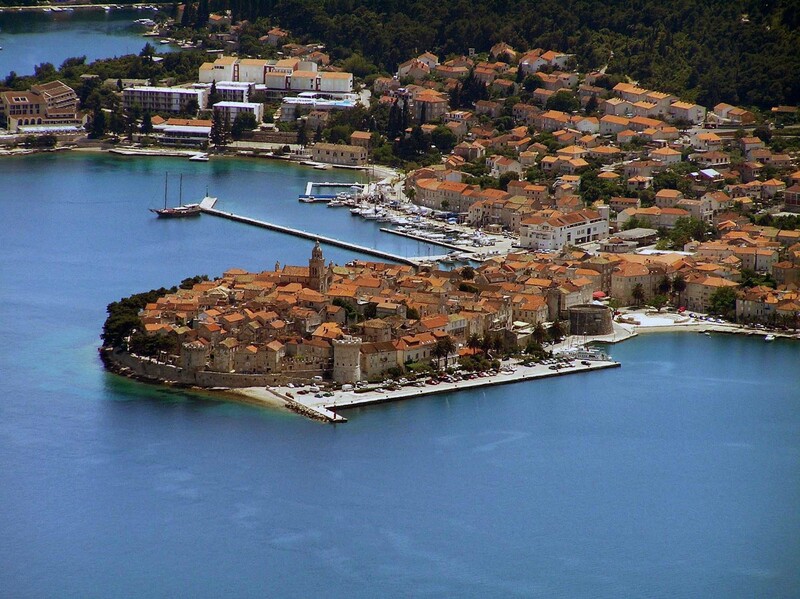 Today, we will explore the island of Mljet. 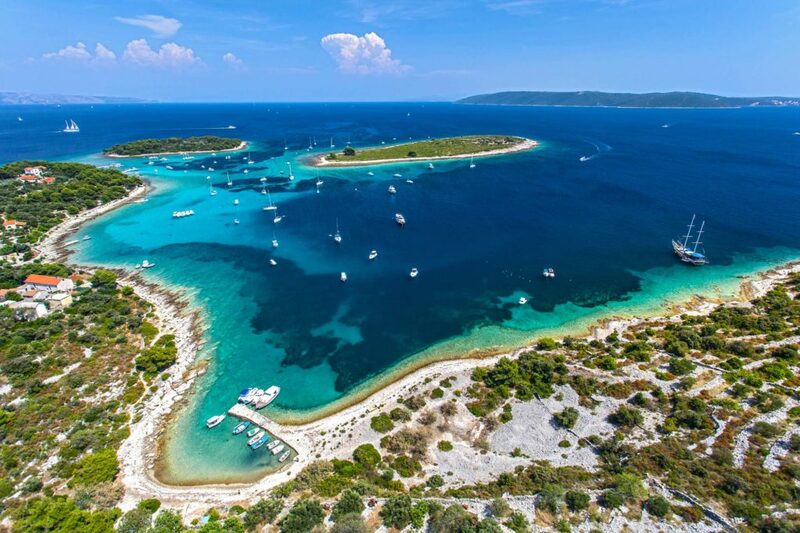 The legend says Greek hero Odysseus spent years on this island when he was captured by the nymph Calypso. 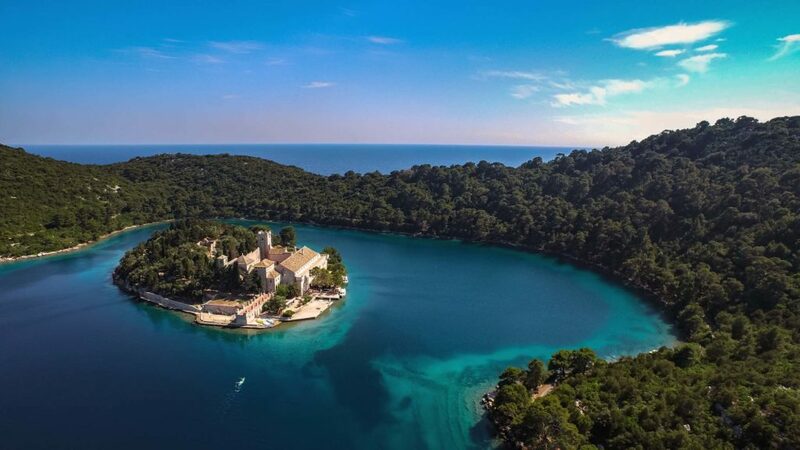 Join the cruise manager for a stroll to the famous salt lakes in the Mljet National Park and enjoy the boat ride to St Mary Isle to visit an ancient Benedictine monastery, an old abbey and a Church dating back to the 12th Century. Alternatively, you can rent kayaks, bicycles, scooters or convertible cars to roam around the National Park or island on your own, but beware of the nymphs! 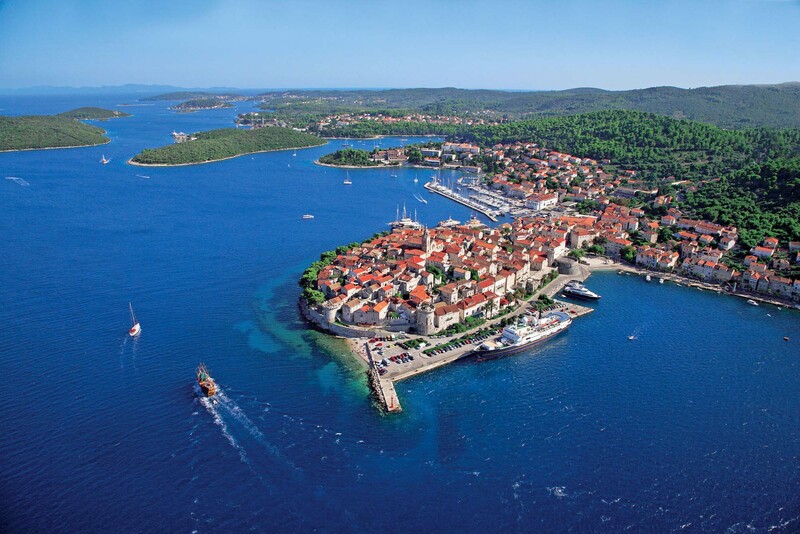 This afternoon, we will depart towards the island of Korčula, best known as the birthplace of Marco Polo. Stop for lunch on board in one of the secluded bays en route. 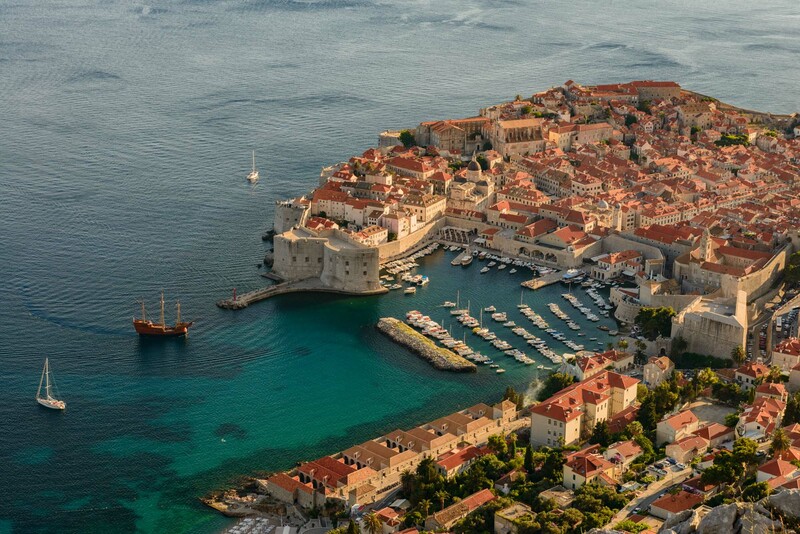 Late afternoon arrival in Korčula Town followed by a guided walking tour of this enchanting place surrounded by walls and one of the best preserved medieval cities in the Mediterranean. Fish bone street pattern was used in the design of Korcula Old Town for a natural cooling effect and it provides citizens with sheltered and comfortable accommodation. Korčula has an abundant choice of restaurants to enjoy a gourmet experience and numerous bars for those looking for evening entertainment. 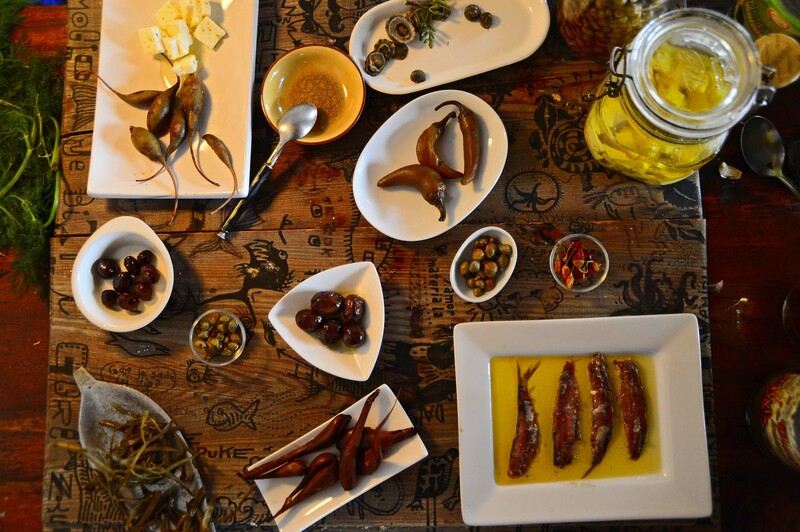 Optional excursion to small village near Korčula Town for typical Dalmatian dinner and to learn about the history and traditional way of living. Overnight in Korčula Town. Buffet Breakfast on board. Today, we will be active cycling from Korcula Town to Lumbarda (usual route approx. 10 miles / 1 hour 15-30 minutes, but it is possible to do a shorter ride). 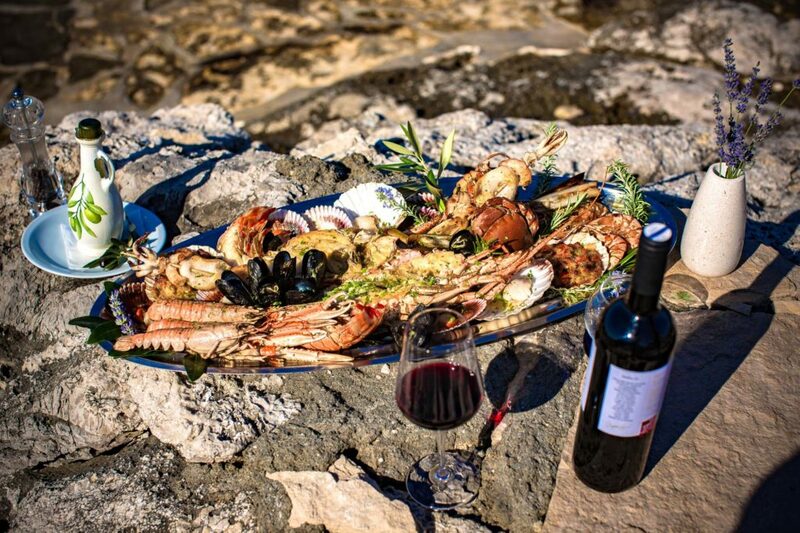 For those who don’t want to cycle, there will be free time to explore Korcula Town before you will be transferred by vehicle to Lumbarda to meet with the cyclers for wine tasting (2-3 wines) and light lunch (Dalmatian platter: prsut, cheese, olives, bread followed by ‘hrstule’ for a dessert). Transfer by coach to Vela Luka where we will visit olive oil production site followed by informal tasting of oils/preserves. Back to the ship before continuing our journey to the island of Vis. Dinner on board. Overnight in Vis. Breakfast on board. Morning departure to Brač island where swimming is planned at the most famous beach in Dalmatia – Zlatni Rat near Bol – whose shingle promontory shifts from side to side as the wind and waves constantly cause the shape to change. Bol is a typical fishermen’s village converted into a popular tourist destination yet retaining its charm. We will spend a day here before continuing for Split. On route to our last destination, we will be welcomed by Captain’s dinner with live music on board. Overnight in Split. Breakfast on board. This morning we will have a tour of Split with a licenced guide. 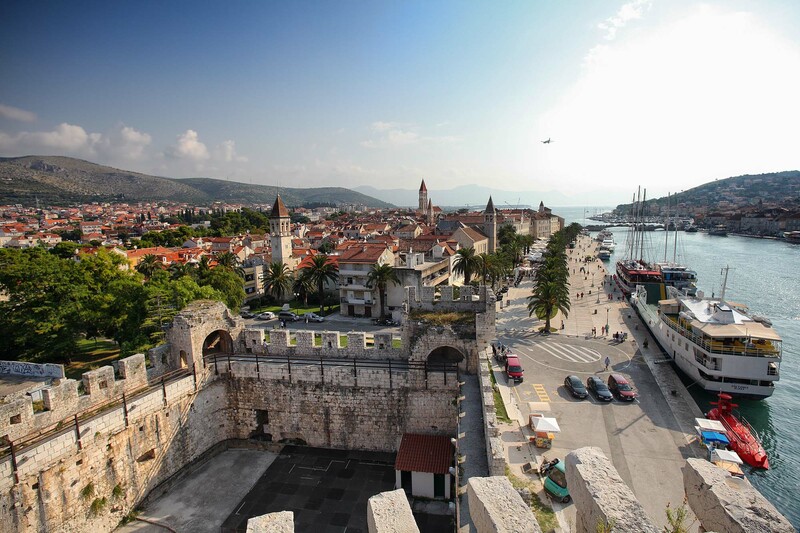 The guided walking tour of Split shows us the historic inner city, built around the Roman Emperor Diocletian’s Palace, a UNESCO World Cultural Heritage site. 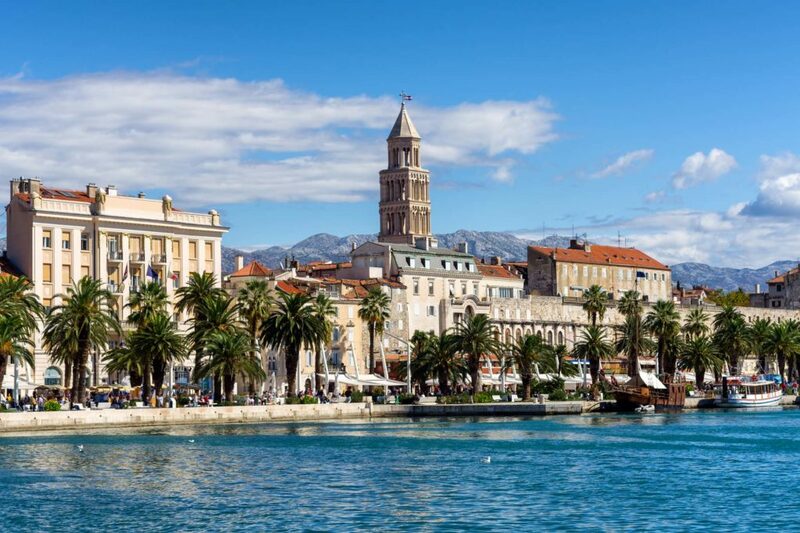 You will see the remnants of Split’s Roman heritage, it’s Renaissance and Gothic structures, Jupiter’s Temple, the Peristyle, and the Cathedral. The rest of the day at leisure. Farewell dinner in traditional restaurant in Split. Breakfast and time to say goodbye to the crew and all your new friends! 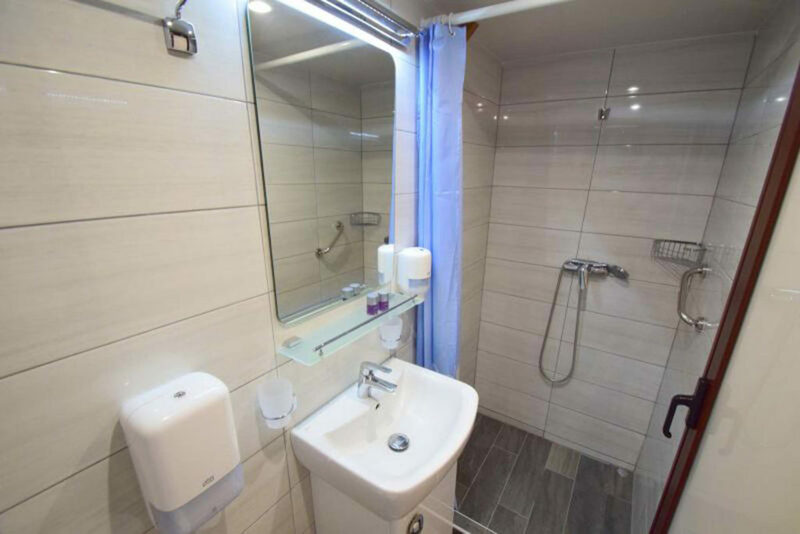 Check out by 9.00 am and transfer to Split airport. 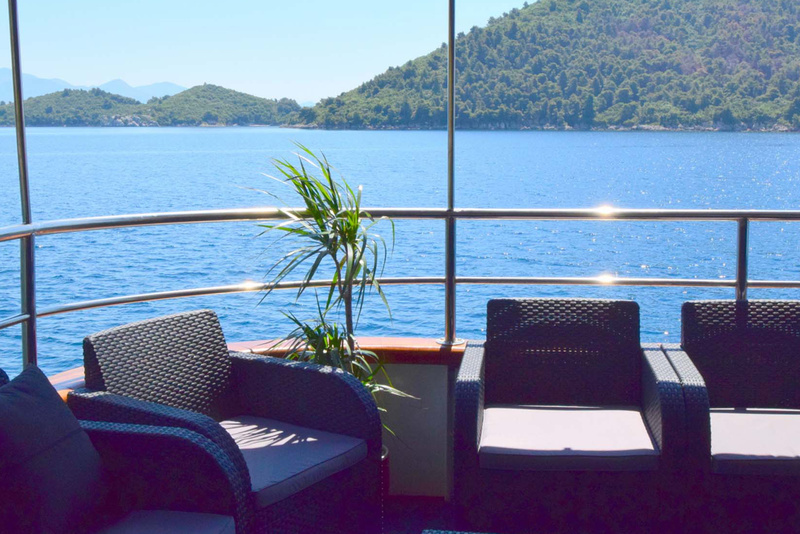 Discover the paradise that is Croatia on-board a deluxe ship. 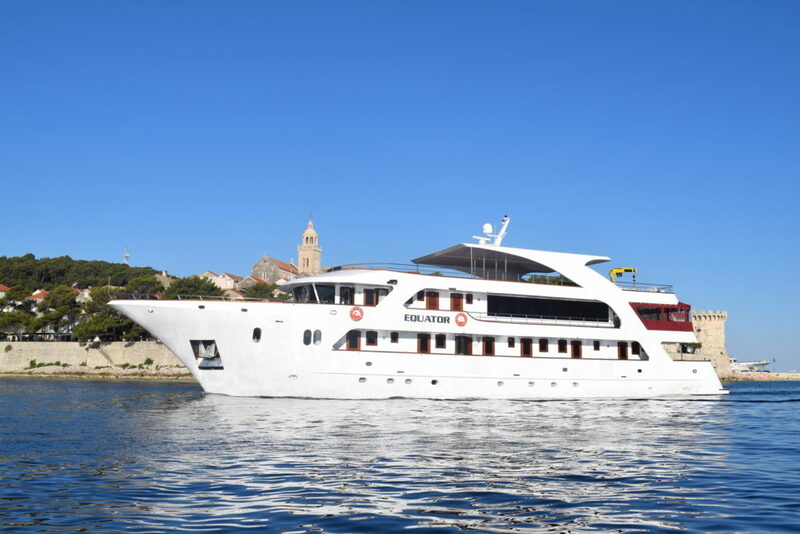 This Dalmatian island hopping cruise is an unforgettable exploration of the islands and coastline of the Adriatic Sea. 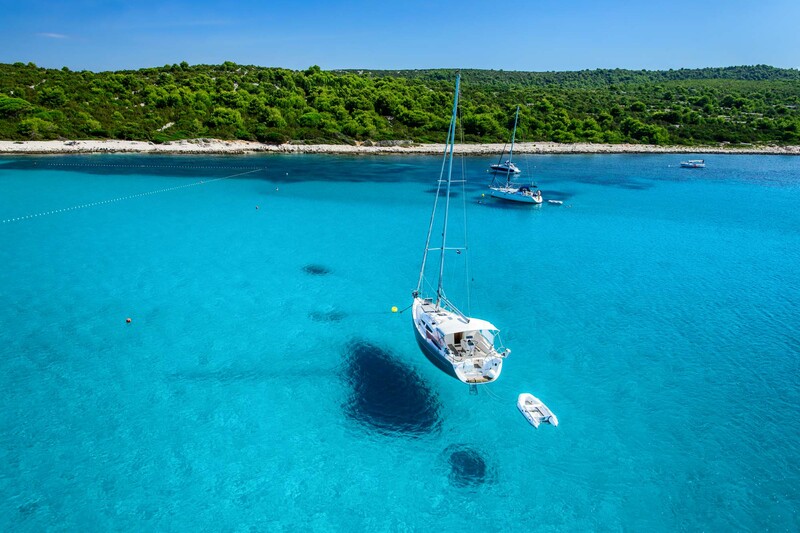 It is the perfect combination of adventure and relaxation as you indulge your senses while exploring inspiring destinations, charming fishing villages, unique national parks, and picturesque coves. 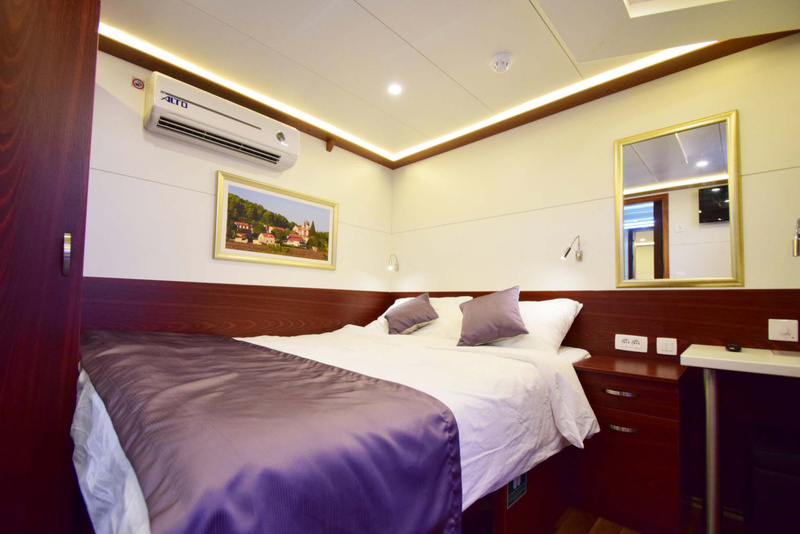 Your comfortable, deluxe vessel has all modern facilities and is the perfect size to moor in the small ports and bays as you cruise north from Dubrovnik to Split. Paddle in your kayak from one inlet to another, from one island to another in less than ten minutes and explore the beauty of nature and its creations. 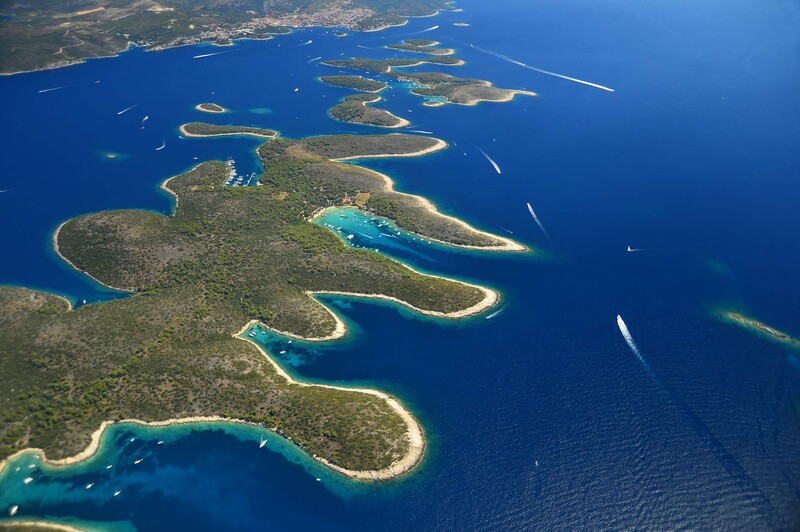 Pakleni islands is a group of 14 islets and rocks dispersed in front of the town of Hvar. This excursion visits military tunnels from the “Cold War” used for the submarines and gun battery in the past. 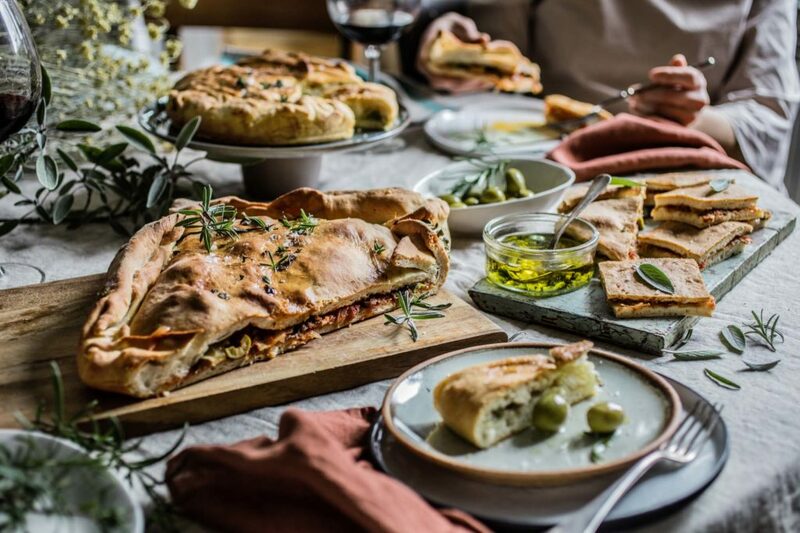 Try a typical Dalmatian dinner in a small village near Korčula and learn about the history and traditional way of living. Most of the island Mljet is a National Park so enjoy the beautiful nature and rent a bike for 2 hours to cycle around both lakes. Experience the refreshing clear water, heart-pumping rapids combined with gentle streams through the breathtaking scenery of Cetina Canyon. 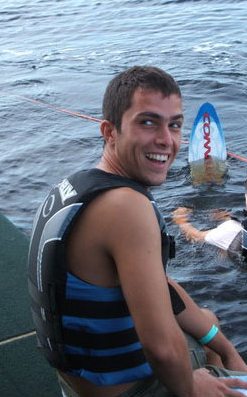 Enjoy beautiful sixteen lakes with crystal clear water connected by magnificent waterfalls. Pure nature, mountain forests and fresh air. 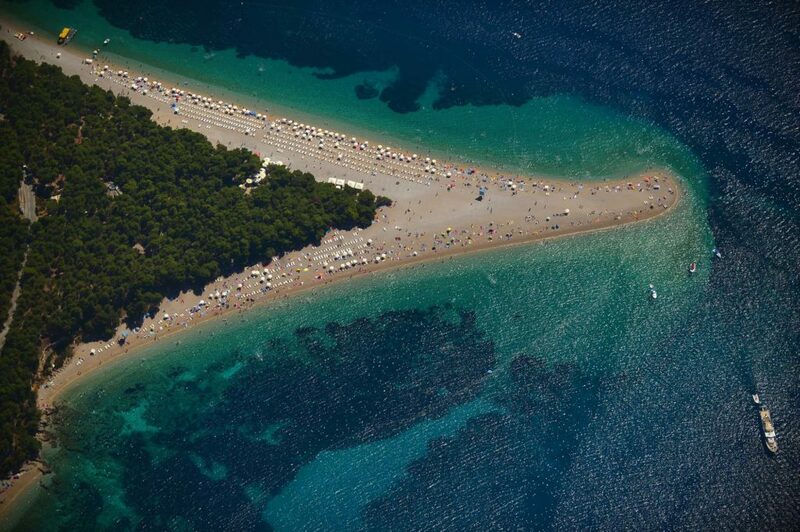 One of the most beautiful national parks in Croatia, and a UNESCO site. Take the cable car in Dubrovnik to Srđ mountain and enjoy the scenic views of the old city. Excellent dining possibilities and off-road buggy safari starting point. Get off the beaten track in 2-seater buggies! 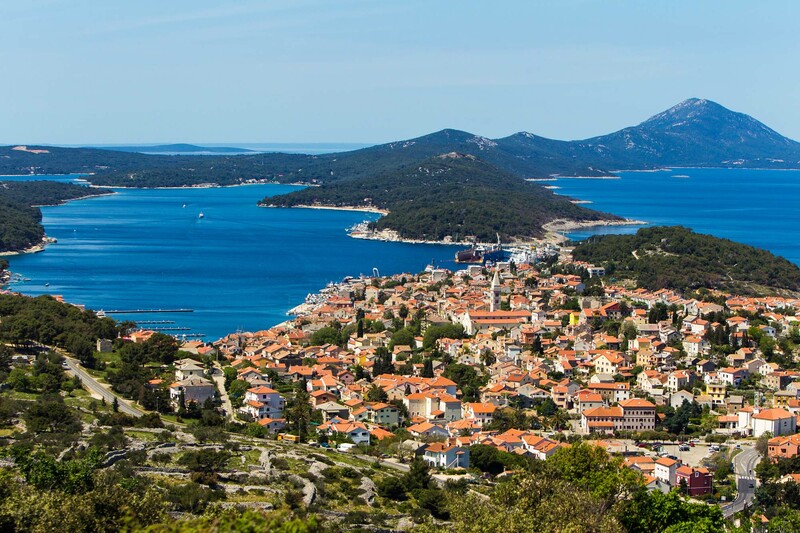 This excursion will take you to locations rarely seen by visitors to Dubrovnik which include hilltop fortresses and Croatian ranch. Starting point on Srđ mountain. 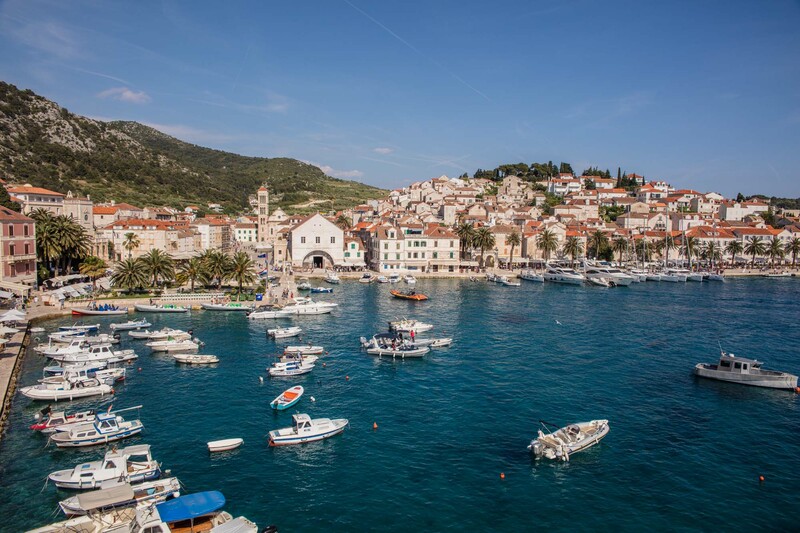 On this tour, you will be taken through all the parts of the Old town where some of the most memorable scenes from the ongoing cultural phenomenon were filmed. 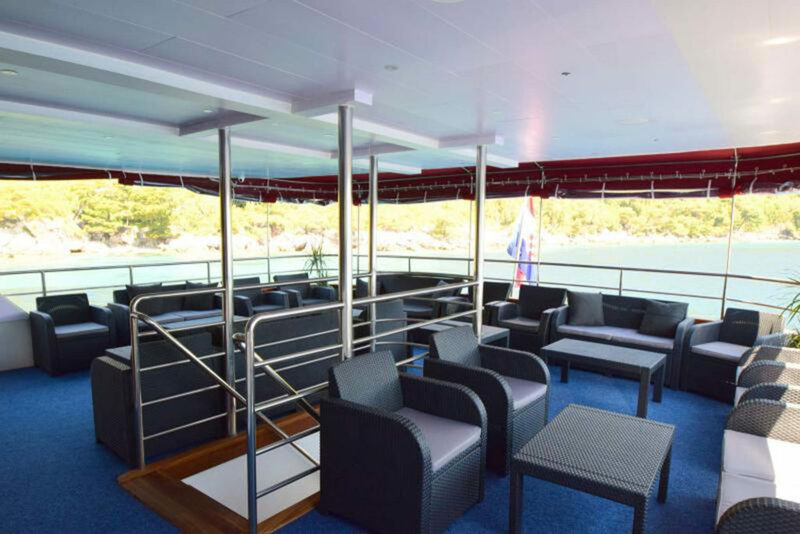 Experience swimming in hidden bays, snorkeling and magnificent views of Dubrovnik town walls from the sea.  Price is based on 35 full paying participants. In case there are less than 35 people, the price will be adjusted accordingly. All pricing is based on check payments only. All prices are subject to currency adjustments prior to final payment. Current pricing is based on the exchange rate of 1 EUR = 1.18 USD. Please note that the itinerary may be adjusted based on your preferences as long as package inclusions remain the same. 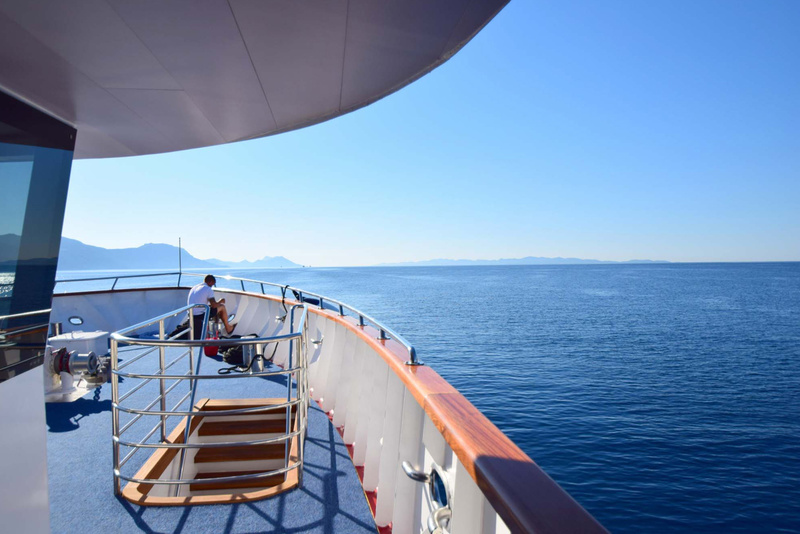 There is nothing as enticing as the clear blue sky touching the crystal waters of the Adriatic when aboard a small passenger ship. 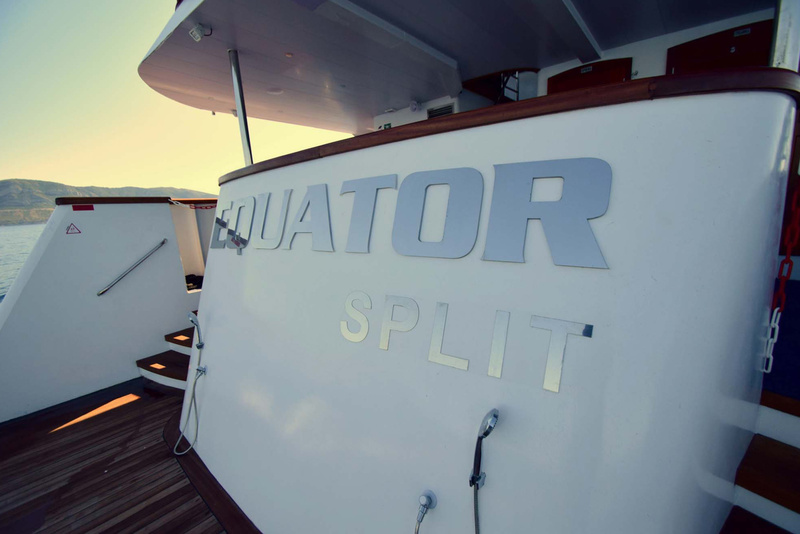 The brand new Equator is a gem in the fleet of yacht-like ships built in the Split shipyard according to the latest EU standards applicable to small ship cruising. 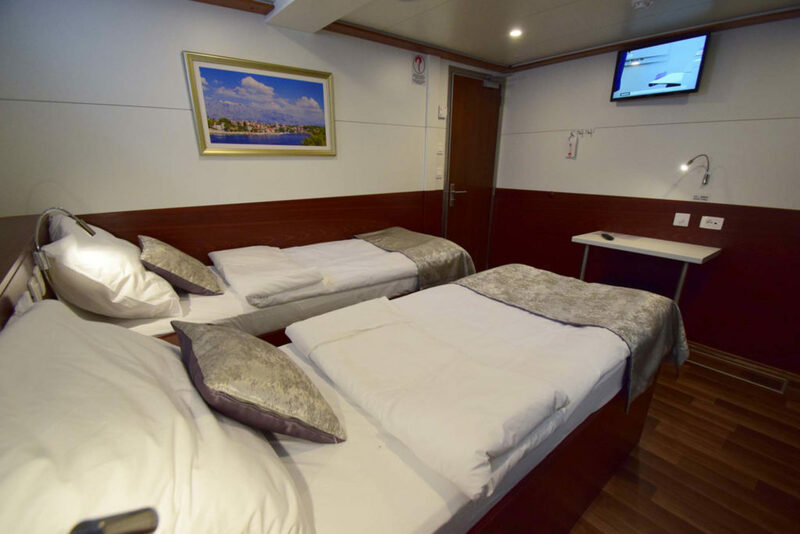 With the friendly crew of 6 members, Equator offers an intimate atmosphere accommodating up to 36 passengers in her 18 cabins with private facilities and air conditioning. 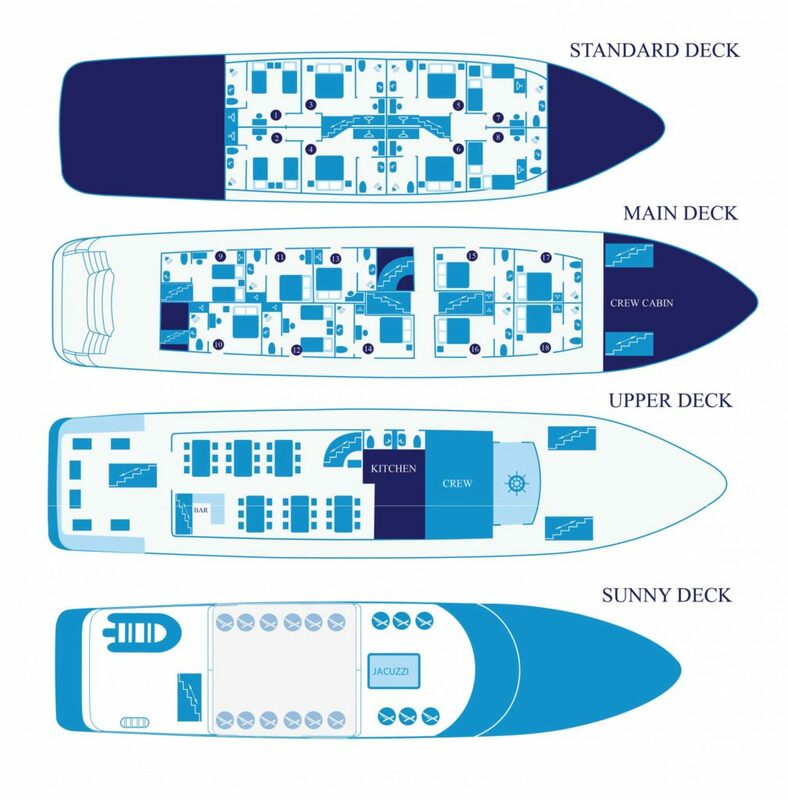 Nicely appointed public areas located on the upper deck include a spacious restaurant with panoramic windows adjacent to a large terrace with deck chairs and tables where you can spend your time at leisure and enjoy your open-air breakfast. For swim lovers, there is a large platform with two ladders as well as public showers. 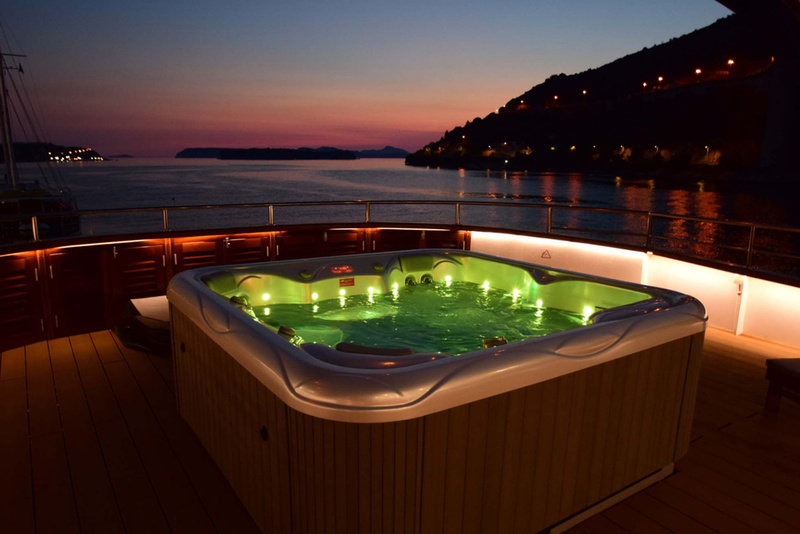 Sundeck with loungers on the topmost level measures 200 square meters and features a wow factor – an open-air Jacuzzi. 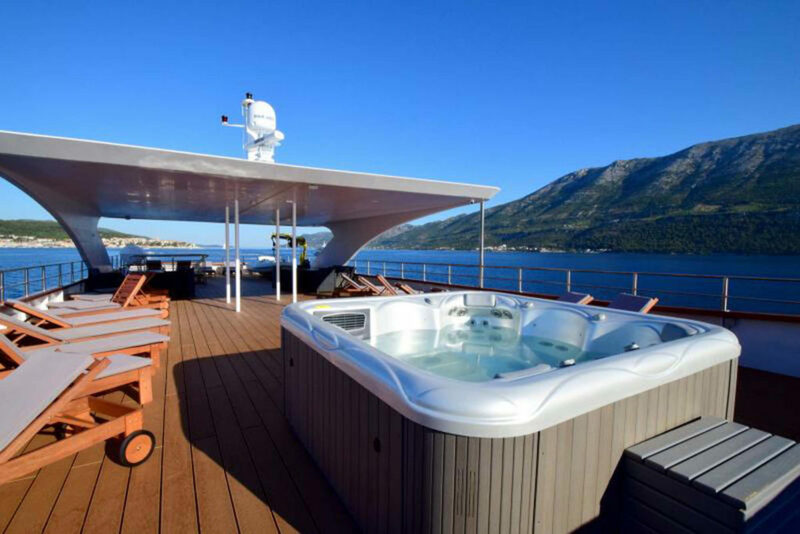 Launching in 2017 Equator is just perfectly designed for your relaxed and rejuvenating retreat while sampling the very best of the fabled Dalmatian coast with its little islands, romantic bays and medieval ports.